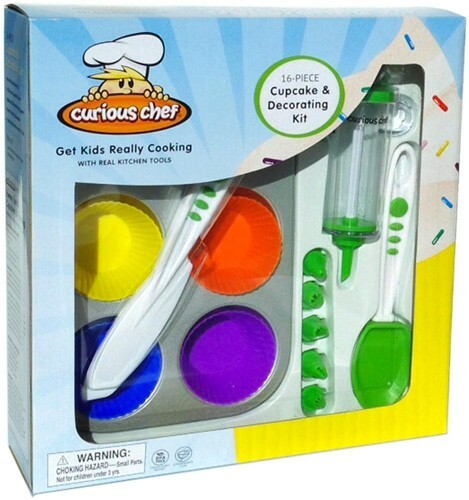 Creativity and fun are part of this 16-piece cupcake and decorating kit from Curious Chef! 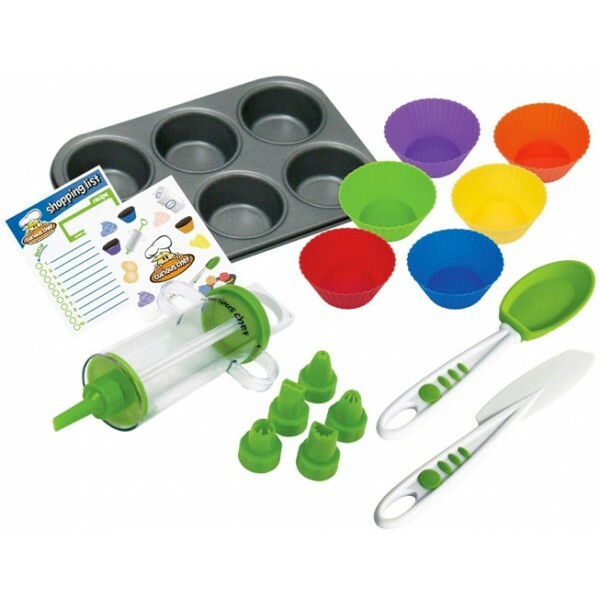 This colorful and extensive kit has every tool children need to make, bake, create and decorate cupcakes. 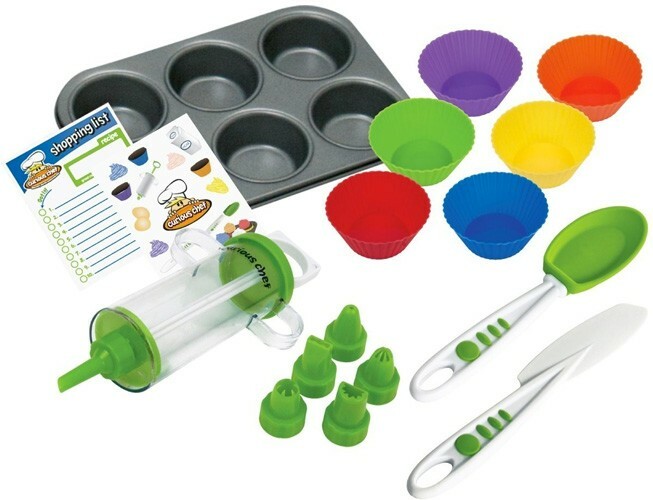 Cupcake themed stickers and a shopping list top off this gift kit. 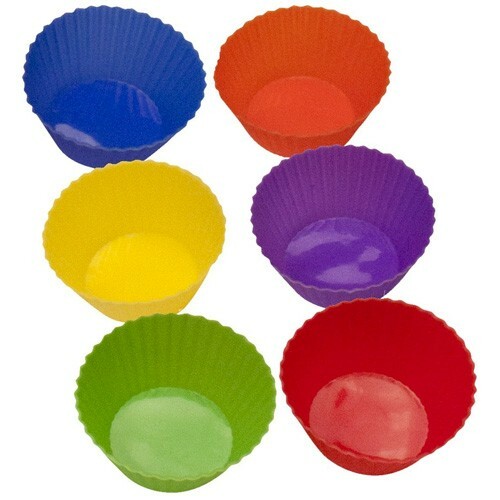 The kit includes the following: 6 cup muffin pan, frosting decorator, 6 unique decorating tips, 6 colorful silicone cupcake liners, frosting spreader and silicone spoon. 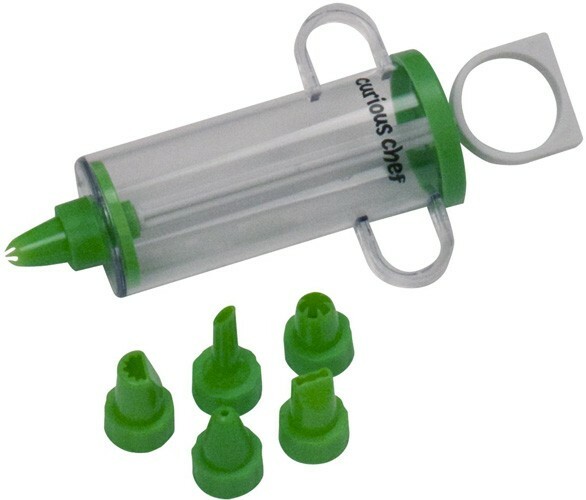 They are real kitchen tools, but they can also be used for pretend play. Every piece in our collection is easy to grip and is sized for small hands. Just mix and match any number of items to meet all your culinary needs.